Everyday is Earth Day at Camp! Here’s a short Earth Day quiz, Greeley edition! What is the Pennsylvania state flower that can be found throughout our beautiful camp, just beginning to bud during this time of year? 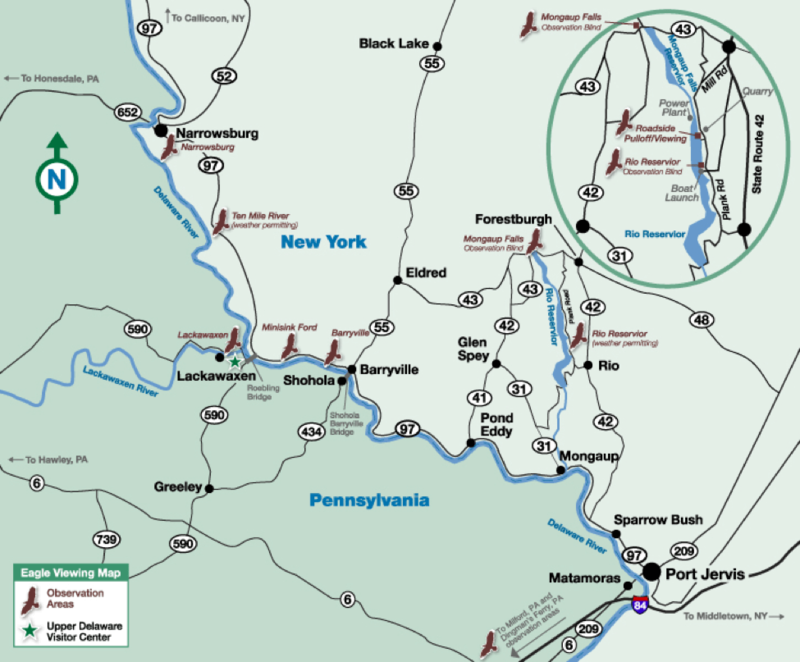 What environmentally important site is located in Milford, Pennsylvania, one of the closest towns to camp? Answer: Grey Towers in Milford is the original 1900 site of the Yale School of Forestry Summer Camp! Who lived at Grey Towers, Milford and is known as the “Father of American Conservation”? Every summer, campers canoe the Delaware and Lackawaxen rivers. The two rivers converge in Lackawaxen Pennsylvania, a beautiful spot very close to camp. What famous American bird do campers frequently see there, soaring high above them? Answer: The American Bald Eagle. 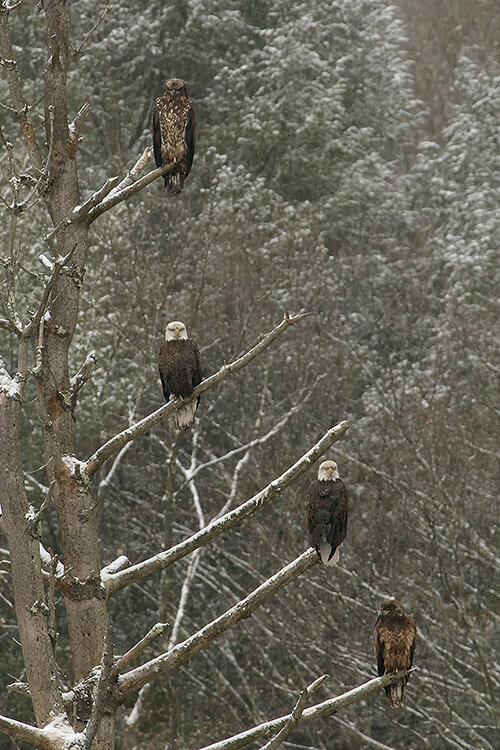 Lackawaxen is home to 200 bald eagles! Camp is located in Pike County, named after Zebulon Motgomery Pike. 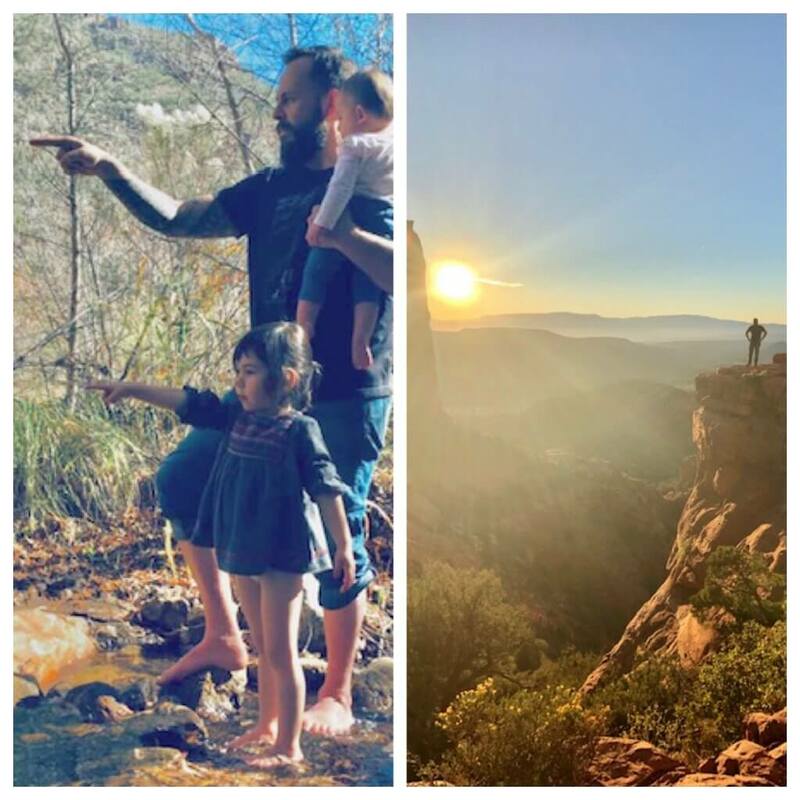 What famous mountain did he discover and where is it located? Our camp was one of the first camps in American to win the Environmental Protection Agency’s (EPA) Energy Star Award. Which of these things didn’t we do to earn it? PJSHOF: Pine Forest Camp Basketball! To be honored on Tuesday, April 30th in Philadelphia, PA! Click HERE to attend! 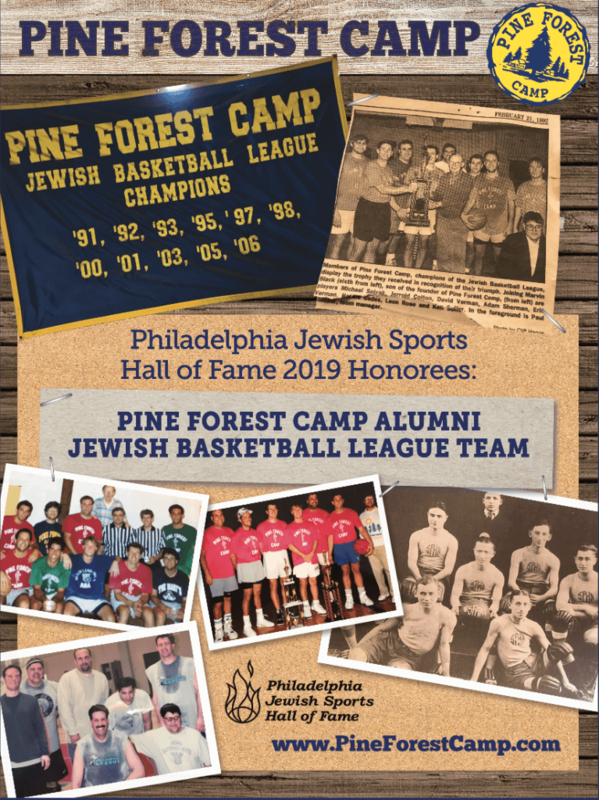 The Philadelphia Jewish Sports Hall of Fame honors the Pine Forest Camp team of the Jewish Basketball League for its dominance in one of the premier adult men’s league in our region. The league has enjoyed a long history of excellence which dates all the way back to the 1930’s where it was a precursor to the original SPHA’S co-captained by Hughie Black, Founder of Pine Forest Camp. . The JBL was considered the league that attracted the very best players in the area during this era. Norm Millan resurrected the league in 1989 after several years of dormancy. Pine Forest was awarded a franchise later that year. Right from the start, the team was successful with a deep playoff run in its first year. In 1990, the team added several key players to round out a talented roster. This skilled squad of players employed a balance of perimeter shooting, precise ball movement and tenacious defense to win three consecutive championships and begin to cement their legacy in the league. The league itself was very strong, consisting of mostly former high school or college players from the region that were all Jewish. Pine Forest Camp went on to win another 6 titles over an 8 year period. As the team aged, there were additions in the mid 2000s that contributed to the last two championships in 2005 and 2006. In total, the team won 11 championships over a 16 year period (1990-2006). Mickey’s Book Club: Summer 2019! I love to read. This summer I look forward to hosting the second season of “Mickey’s Book Club” for Middle school age campers. Stay tuned for the announcement of our first book for discussion! 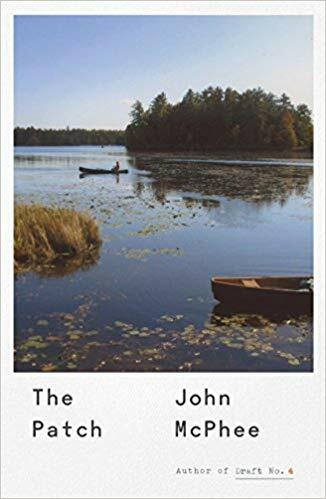 One of my favorite authors for older campers and parents is John McPhee. He is an award-winning non-fiction writer who is curious about everything. There is no one better at explaining how things works. And the range of his subject matter is limitless. He explains everything from fly –fishing in the Poconos, to building a bark canoe, to the origins of prehistoric oysters. 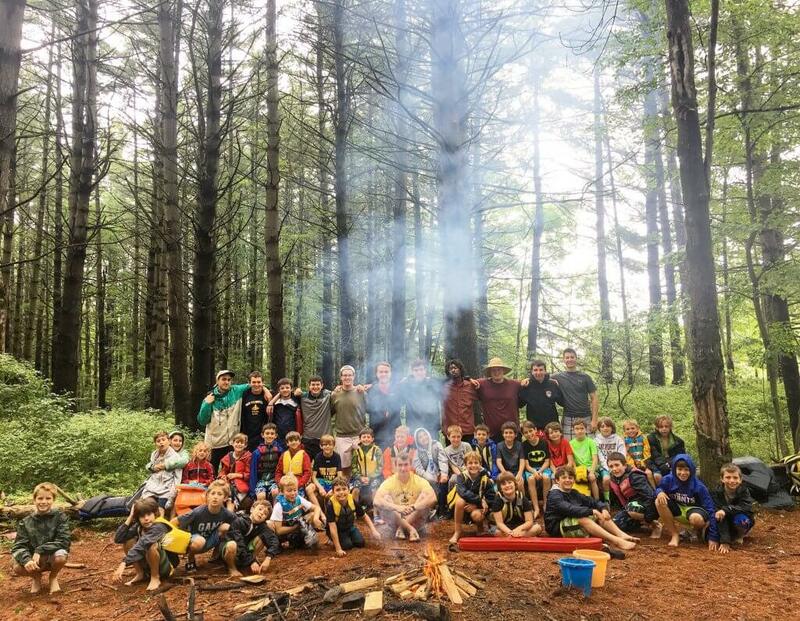 McPhee spent his summers at Camp Keewaydin , an all boys, primarily canoeing camp in Vermont, but his observation about the profound and lifelong impact of camp on one’s intellect, curiosity and creativity is true of any good camp, like Pine Forest. Camp teaches campers to be aware of all of the things and adventures around them and to find out more. It gives every camper a chance to explore whatever peeks their curiosity at their own pace. And in today’s pre-programmed world, that is rare and special, indeed. With enthusiastic staff around them to guide them forward, there is no limit to what they will discover. You may have been hearing a lot lately about “Snowplow” parents, those who move everything and anything out of the way to smooth the road for their children on the path of life. In my opinion, many of these parents may even do so unwittingly, with the best of intentions, but not in their child’s best long–term interest. What’s an effective way to prevent that? Send them off to a great camp like Pine Forest. “Snowplow parents prepare the road for kids. Responsible parents prepare kids for the road. One concrete way to prepare kids for the road is to give the gift of a good, scratch that, a great residential, long-term, old-fashioned summer camp! You don’t build resilience by eliminating struggle. You build resilience by normalizing it: teaching kids to see obstacles as temporary hurdles. Homesickness! Conflict with a friend! Advocating for yourself! Advocating for a friend! Trying something new (that might take practice)! Making decisions independent of your parents! The gifts of these experiences become immeasurable. A River Runners Thrill: Seeing an American Bald Eagle in Flight. In 1975, there was just a single pair of nesting bald eagles left in New York State. Now, there are hundreds in NY and PA. The return of the eagle to the Upper Delaware River area is one of the great success stories of the American environmental movement. At the forefront of the return of the eagle population to PA/NY is The Delaware Highlands Conservancy. Our campers will meet a representative of the Conservancy and with their help, watch for eagles in flight. Did you know that it takes about 5 years for an eagle to grow their all-white feathers around their head? Or that their wingspan is about 6-7 feet, larger than any other bird of prey in this region? When you see an eagle soaring above in its natural habitat, it is unforgettable! They look regal even at rest in the trees in winter. PFC Jewish Basketball League Champions! 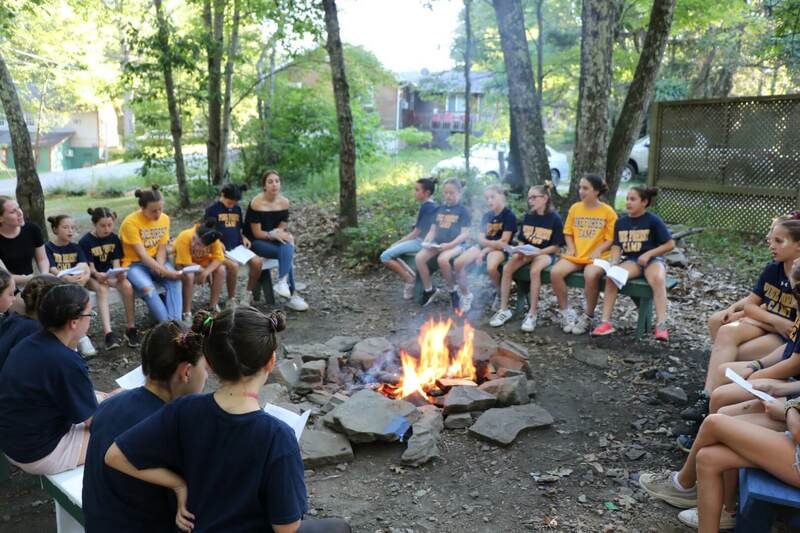 On our new, after-camp trip, the River Runners will meet Lenape Chief Joseph Little Feather. The upper Delaware River was the home of the Lenape or “Delaware Indians.” Where our campers paddle down the Delaware River, the Lenape traveled in dugout canoes made from hollowed out trees. Delaware is said to mean “original people.” It is believed that they were the original inhabitants of this region and ancestors of the Algonquin tribe. 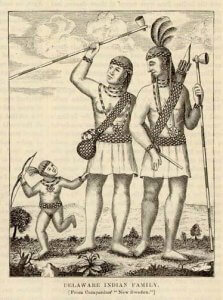 The Delaware Indians are considered by many as the “grandfathers” of many native Americans. Our campers will have the rare honor to meet in person a descendant of the Lenape and its current chief, Chief Joseph Little Feather. Chief Little Feather will talk about the daily life of the Lenape, their rich history, and their organic connection to nature. If you’re interested in learning more about the Lenape (Delaware Indians), you can do so here and here. Let’s take a journey into the art of cooking with the most basic cooking tool….Fire. The best part of camping, for me, is building the perfect fire. Watching it burn can be hypnotizing in beauty as it changes form and radiates energy. That energy is then absorbed by everyone surrounding it forming love, laughter, wonder, storytelling, and the gift of living in the moment. These are just a few of the gifts of camp. The camp fire also creates the perfect environment for cooking and learning how to cook. There is no need for a stove, an oven, a steamer or a broiler. Learning the art of cooking on open flame teaches all the essentials. Just like growing a vegetable in your own garden, cooking on a campfire allows you to truly appreciate the final product. You understand the science, you appreciate the nature, and you enjoy your food even more! This lesson is a great lesson in cooking but also life at home, in school, and in everyday challenges. The campfire, building it, experiencing it, cooking on it, tending to it, is the embodiment of summer camp and a summer spent in the great outdoors. 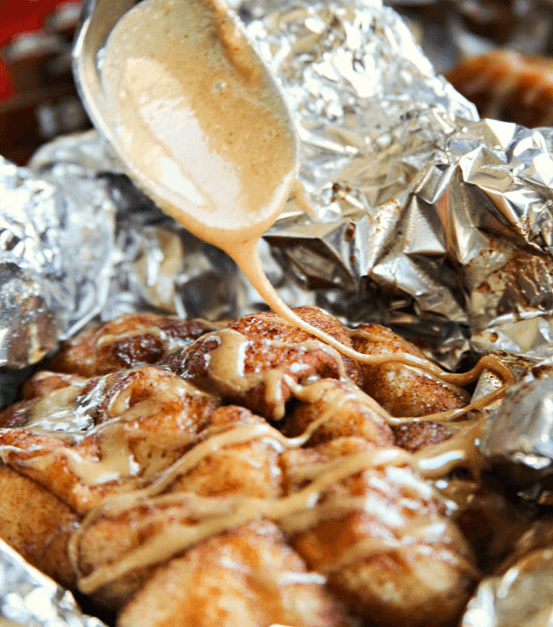 This ooey, gooey monkey bread can be made right over the campfire! Prior to camping, place the brown sugar, and sugar into a large Ziploc bag. At the campsite, prepare the campfire and allow to burn for at least 30-60 minutes to create hot coals. Cut up the biscuits into quarters. Drop into the Ziploc bag and completely cover. Melt the butter and pour over the biscuits. Seal the bag and shake again. The biscuits should appear very gooey. The pie iron will tend to dry them out so you want them well covered. Spray both sides of the pie iron well with cooking spray. This recipe will fill 2 double sized pie irons. Place the biscuits on the pie iron and spoon any remaining mixture over top to coat further (Make sure you save some for the second batch!) You can also try adding this half way through cooking if you like it a little more sticky. We believe that a good, traditional overnight camp isn’t meant to be an amusement park. We believe that the best programs and evening activities aren’t ones with flashy lights, shiny things and outside entertainment. Living simply, in a wooden cabin, listening to the sounds of nature, creating outstanding programming using very little but the imagination, living tech free, focusing on each other, makes camp a place that can uniquely give the gifts of confidence, community, self reliance, resourcefulness, creativity, and grit. Though camp is action-packed for sure, the most magical part is what happens beyond swimming lessons, soccer games, horseback riding and everything in between. Here’s a link to a great NY Times article, Let Children Get Bored Again, that shares a similar sentiment. An Exciting After-Camp Adventure Announcement! PA + NY New Camper Events Were AWESOME! 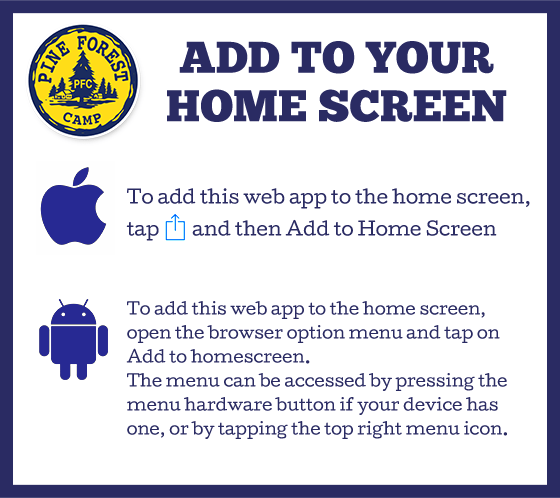 Fun Facts about Pine Forest Camp!